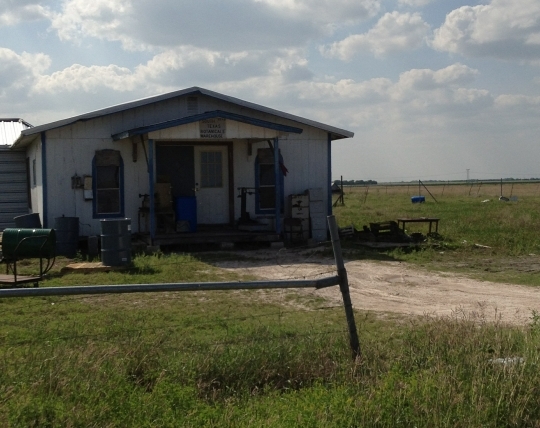 Texas is home to one small Amish community, near Beeville, county seat of Bee County. Reader Debbie shares photos and comments today following a visit to the community. Stacked up against the verdant lands of Lancaster or midwestern Amish communities this is hardscrabble territory, which the photos here reveal. 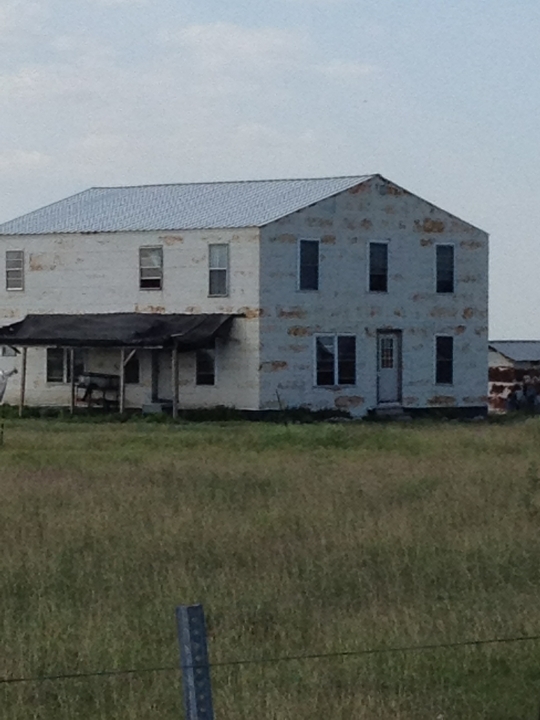 From what Debbie describes this community is diminishing in size, with Amish either leaving the church or moving away. 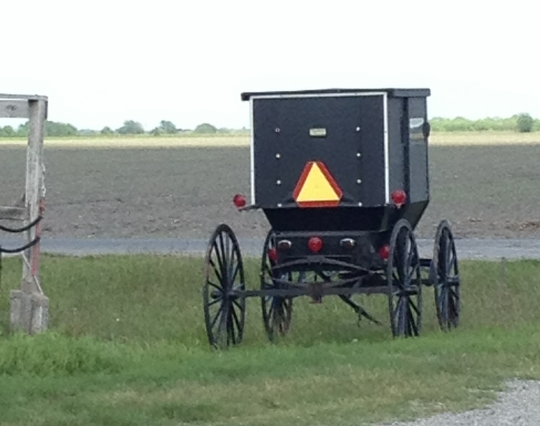 Some ex-Amish live in Beeville and the surrounding area. Brothers and former members John and Joe Yoder were featured in a video on Texas ex-Amish last year. It sounds like church issues are contributing to the decline of this community. Texas has had an unusual history of Amish settlement. At one time a unique Amish population existed near the towns of Stephenville and Dublin in Erath County (about an hour southwest of Fort Worth). Amish at Stephenville did not own land but worked on large English-owned dairy farms, since most planned to return to their homes (Amish came here from all over, including from Illinois, Kansas, Pennsylvania, Michigan, Ohio, and numerous other states). Since the Stephenville Amish lived scattered far apart, rather than meet in homes for worship, they gathered at one Amishman’s centrally located workshop. This settlement maintained a mix of church standards, with each settler following the Ordnung of his home community. Gradually the community, which at its peak was home to 24 Amish families, began to shrink. Perhaps economic recovery created new opportunities, enticing settlers back to their home communities? Luthy writes that the Stephenville Amish settlement was extinct by 1993. Read more on Texas Amish. It is unfair to compare this community to those in other states. It is a relatively new settlement, they do not embrace any form of home decorations such as neat lawns, flower beds, painted exteriors, and other forms of decorative attention getting settings shown by less strict settlements. Homes are plain, buildings are adequate for their purpose, without any extras. This is by choice, not by lack of diligence or money. This is a hard working, honest community that should not be compared to other settlements. The starkness of their facilities reflect their religious beliefs. You will find them to be very easy to work with and trade with, and highly trustworthy in dealings. Thanks, Debbie, for the photos and description of this unique settlement—or what’s left of it. I agree with Richard about it being sad to see. Obviously, not every Amish settlement will thrive. I subscribe to The Budget, the Amish newspaper, and there are often articles in it about the Amish in Bastrop, Texas and in Lott, Texas. Does anyone know any more about these Texas Amish communities? 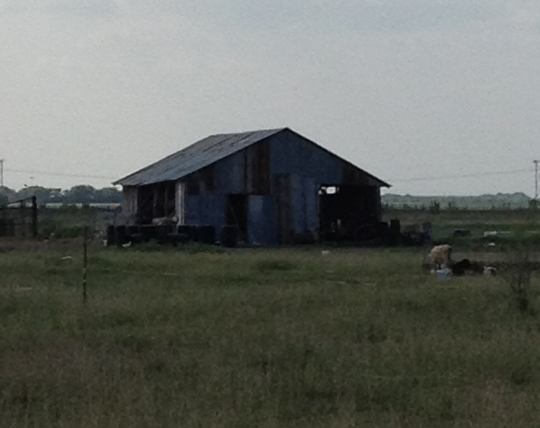 Sad to see this one in Bee County seems to be declining. I guess even Amish are not immune to “church issues”. Also happens a lot in other church denominations, with church splits, etc. Sad that even Christians sometimes can’t get along with each other. Carolyn regarding Bastrop and Lott TX, unless those are brand-new Texas settlements that have started in the past few months, they aren’t horse and buggy Amish. The Budget has quite a few non-Old Order Amish writers among its scribes. Lott and Bastrop are “beachy amish” , which is not old order although some there would have grown up old order. Lott has been there for some time and is not new. A book was published in 2006 about the church in Lott although the pictures in it are quite a bit older than 2006.
http://www.lottmennonite.org/ would be the congregation’s website. Thanks Reuven and Yoder, I had a hunch that was the case. Reuven thanks for the links, interesting. We buy from the Amish Store in Lott on the outskirts, they have and array of bulk products and Troyer Meats very nice people and they are from Baltic Ohio area where I was raised within 30 mmiles of their. Beth, I certainly agree with you. Its only May and its well over 90 already. We haven’t had substantial rain for a good number of years. As you can see from the pictures, it’s quite desolate where they are living. They are far from downtown Beeville which is a nice little town. It takes them two hours to get to the nearest Walmart so it is quite difficult to live there without driving. The women in the settlement have to wear dresses with high necks and long sleeves. They are very limited to the kind of fabric and color that they are allowed to wear and they have to tie the strings of their covering under their chin. Definitely not the kind of outfit you would wear in 110 degree heat. Amish are a resilient people but I am not sure if even they can handle South Texas. Before coming to Erik’s website I had no idea how mobile the Amish are and how frequently communities form, expand, and sometimes, die. I look forward to reading the book about Amish settlements that failed; there are probably a lot of lessons from the Amish experience of forming communities that can be applied by non-Amish, even to areas such as online communities. Hi, I was wondering if someone could answer a question for me. I’ve been watching some Amish documentaries on PBS and Nat Geo and I was curious, when Amish say “English”, exactly who do they refer to? Do they have names for people who are not culturally or through heritage, English? Like what would a black person or an asian person be called? Interesting question Amy. I’d expect an Amish person might refer to a person’s skin color in the same-way that non-Amish people do when talking about people with a different skin color. I’ve heard Amish say that so and so is black, but I don’t recall anyone referring to a black person as “English”. My experience there is limited though. Mennonites are often referred to as Mennonites rather than “English”. in Bastrop off Highway 71. I was invited to worship with their church one time by a Mr. Beachy, but I never have had a chance to attend. If you look up “Sturdi-Built” or “Sturdi-Bilt” buildings (something like that)in Bastrop it is owned by Mr. Beachy. He seemed very open to visitors, almost evangelical. Hi, i would to like visit the amish bee of county. I been passed on 59 south, and i still don’t see them when they walk. Can you post and where I can visit them? I want to learn about their culture and experince. It’s been a couple years since you answered the post about why the Non-Amish are called English, but I would guess it’s because we speak English and they mainly speak different German dialects. Also, years ago…there were a lot of “English” around 🙂 so that was always my understanding and that’s why I used the Name as English Chick since I’m not Amish. Do/would any Amish family in beeville or anywere in Texas accept a working,paying person to live in their home as a temporary family for two to three weeks ? I am an elderly female and would like to discuss the situation with an interested family. Hi Martha, unfortunately that is very unlikely. The only Amish in Texas are the settlement in Bee County, and it is a very small and conservative community and unlikely to do that. Maybe there is another, more progressive Anabaptist group you could connect with, such as a Mennonite or Beachy Amish church, if you are interested in them from a faith perspective. Amy, one reason the Amish would refer to non-Amish as English is because the non-Amish don’t speak Pennsylvania Dutch; they mostly speak English. Glad you found it timely Beth! Bee County sounds like a pretty good name at least for the setting of an Amish series. I live in a small community in Bee County just north of Beeville. My Grandparents owned this house and it is next door to an small old rock church which, for as long as I can remember was called the old Mennonite Church. It’s a one room church and is still in great shape. My neighbor who owns the lot has discussed with me on its historical significance but our research has been stalled by no information. Do you know of any resources I might look into that can tell me more about this magnificent structure that has been a huge part of my childhood? Any information from you would be helpful. I have befriended many of the Amish here in Bee County but haven’t been able to find much information about this old church. Thanks again. That sounds really neat Billy, and I wish I knew just where to point you, but the nitty-gritty research on historical buildings is not really my area of expertise…perhaps a Mennonite historical organization could advise you better, have you hunted any in that direction? Actually the church in Grandview is just an independent Mennonite church. The minister and his wife came out of the Lott church years ago to start Grandview as an outreach church. I used to attend there myself for several years and still visit off and on now. I wouldn’t mind visiting this little Amish settlement in Bee County. 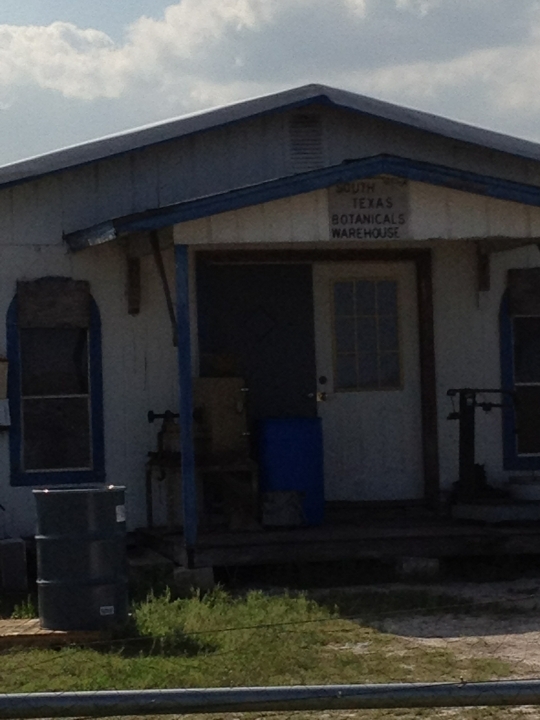 I had heard of what used to be some Amish in Stephenville, but didn’t know there were any more left here in Texas. It’s hard to make a living off the land here with summers being 110* or more, droughts, etc. My heart goes out to them. Can you post how to get there? I live in Corpus Christi and would love to visit… Thank you. Take I-37 north toward San Antonio. Take exit 47 toward FM 534/ Swinney Switch. Take first right onto FM 534. Drive 2.8 miles to FM 796 and turn left. Drive one mile and turn right at Kinkler Lane. After you pass San Pedro Cemetery, make a right at Gaitan Lane. Their community is on the right side on Gaitan Lane. You’ll be able to see a few houses and a store at the beginning of the community. It is very small. I hope you enjoy yourself. I have heard store is open only on Fridays? The store is open every day except Sunday. Also, one of the families has a stand in a parking lot in the middle of Beeville. I’m not exactly sure where it is but I’m sure the people at the store can tell you. I read about the Texas Amish in an earlier blog, but somehow missed this one. Thanks for all the info and pictures Debbie.I just talked to Bishop Borntrager and I plan to meet with him next week. Have you ever been there before? It is quite different than other settlements. Let me know if you meet any others besides the Bishop. I talked with his son before and also with a family living at the end of settlement who are no longer Amish (they are the in-laws of the Bishop). The only families left are his sons and their families. I hope you enjoy your visit and let us know what happens. 1ST trip and I can tell from your pictures that it is different from others I’ve been to. We have a place in Lancaster, PA and I think there are more Tourists than Amish. Lancaster is my favorite place. I just returned from there. As soon as our house sells in Texas we will be moving to Lancaster. We’re looking for some land (about 2 or 3 acres) to build. I only want Amish neighbors. Got any suggestions? We obviously think a lot alike. We looked for a place next to Amish, and just missed one on the hill outside Strasburg that overlooks the valley of many Amish farms. There was another for sale recently across from this one, but it included land all the way down the hill so was priced high (about $300,000). We live near San Antonio (job brought me here) and with our children and grandchildren here, that is why we have two places. I’ll be glad to check around for you since we will be there all of November. We have 2-3 Amish families we know well and maybe they can help. I would appreciate that. As I said I just came back from there. I was busy looking but didn’t find anything. I would even consider a house on two or three acres of land as long as its not too old. When you go to Beeville, you must stop at the last house/shop. It’s a saddle shop and its owned by Ezra Hershberger(He commented on the Amish in Texas post). He and his family are very friendly. The comments that Valerie made are all true, unfortunately. If the Bishop is in the store, his sons won’t talk with the customers. If the Bishop isn’t there, they are really talkative. I would like to be amish. I just turned 18 and would like to live the Amish way of life. Unfortunately I was not born Amish but would like to find someone who could take me under their wing and show me everything. I am eager to learn very willing to work hard and follow directions. I know I want to be Amish but don’t know anyone who will take me and mold me. My family is very supportive but they don’t know if the Amish would accept outsiders. I know I would love it. If anyone out there could lead me in the right direction I would be fever greatful. Thank you. Email me or call me 646 377 8333. Martin contact me if you want to become Amish. Im English, that is the term they use for non amish or non Pensylvainia dutch speakers English speakers, I think. Im not amish however I have several aMISH FRIENDS. iN oHIO AND pA. AND i THINK \EVEN FLORIDA. If you want to become Amish I believe basically you simply have to tell the church ( a church) that you want to become Amish. Also there may be some amish who have bnot been able to have children if so they might be interested in having your help on their frm and you might be bable to make some arrangements, or even if they have girls but no boys. They woudl teach you the amish ways and work. I know at least one bishop ( I think he is a bishop) or he is at least a minister in Ohio. Fell free to email me or contactme and we can try to help you out. Some Miennonite ( most menonite) have the same work ethiocs as the Amish do but they tend to understand Salvation better than many Amish do. You might want to consider Mennonite such as Spring Buggy Mennonites or Beachy Amish. They believe in Salvation which is a good thing. Many Amish believe in the ideas of Salvation in a way similar to the Catholics ( who they broke Away from origionally and so for them salvation is by works not by faith in the grqace of Jesus and by paking a personal acceptance of Jesus as your personal savior. The Bible says that it is by graace we are saved and that not of ourselves but it is the gift of God through Jesus Christ ( that means Messiah which in english is Savior. We need to admit that we are sinners hoefully lost by our sinful nature and that we can only go to heaven by accepting Jesus’ attonement on the cross as payment for our sins. Then we have a free right given to us by God to Go to heaven. There is nothing that we can od or must do that to belive in this idea to get us to heaven. We should asx belivers do Godly things, but there are two judgements. One for our works and one for our faith. IT is not our sins that keeps us from Going to heaven when we die but our believe in Jesus as our savior that gets us there. THen none of us in heaven will boast of it being our own acomplishments and works that got us there . There are Amish who beleive this but IO have not found it to be the main ideea amongst them and in fact most will argue this point in favor of works. Which may set them against God and his Good News Ofsalvation through Jesus our savior. They believe as do Catholics that Jesus death gives us the right to go to heaven but we muyst hen earn that right by obeying catholic doctirines and such which are all based on our works. This is the issue that created protestantism. BUt to day a true belevier in Jesu sis not a protestant protesting against the errors of the Catholic church as are the Amish but they are persons who have repented of their unbelief in their need of a mEssiah, a christ a savior to save them form their sinful nature as Jesus did do. Read the book of collossians. And ask God out loud to explainit to you. Sincerely humbly from your heart and you will come to understand this if you do not already understand it. Ive recently adopted the WAPF weston a price foundation way of eating. I want to live in area that has green pasture all year long. Id like to have amish neighbors for milk? Any suggestions? Id like to be in southernmpst county in texas if i can find the right combination of things there. It seems the weather around Brownsville texas is warm but not tooooo hot. Perhaps tempered by the ocean nearby. any amish on hawaii or virgin islands or porto rico? are there any amish in hawaii or us virgin islands or puerto rico? i know there are some amish or menonite in Belize. How big is the amish group in Beeville. When I was down there a few years ago, the Bishop said there were 8 families. Probably around 50 total? ?